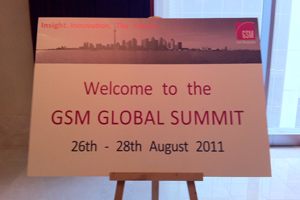 Pre-event planning: Each year travel management firm GSM gathers its chief executives and senior managers from its 38 offices around the world at a global summit. The event traditionally takes place at the end of summer and rotates around different continents. This year saw the conference held in Canada for the first time. "The Toronto office negotiated a brilliant room rate at the Ritz-Carlton. We'd never have been able to negotiate that rate from London," says Sally Higgs, product manager in GSM's London office, who organised the summit. Objectives: Although the delegates are in regular contact, providing business updates for international clients and liaising on global supplier deals, the event is a vital opportunity for them to meet colleagues face to face. "We set quite a tough agenda," says Higgs. "The focus this year was insight, innovation and the future. We were looking at where the industry is going and a key element was also supplier relations." Challenges: "There were no big operational issues but we had delegates from up to 44 countries arriving and changing their travel arrangements at the last minute," she explains. On the day the party arrived, Toronto was on 'tornado watch', with more serious tornado warnings in the surrounding area. "One of our board members was stuck on a plane for seven hours; the CN Tower was struck by lightning and the hotel was evacuated so some delegates, who had gone to bed because they were jet-lagged, had to stand in the rain in their dressing gowns," Higgs recalls. Solution: "The problems were all things we couldn't control," says Higgs, "but we kept on top of the flights and rooming lists and the Ritz-Carlton was brilliant." The summit programme included presentations by senior managers and industry suppliers, as well as workshops. 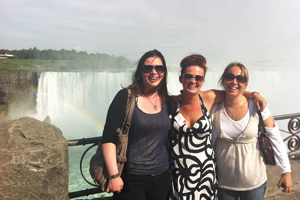 Delegates also had the option to arrive in Toronto a day early to take part in a training day. "The feedback from last year was that the programme was very intense, so this year we finished early on the Friday and organised a treasure hunt around Toronto," says Higgs. "Delegates had to complete challenges such as play air guitar outside a music shop. They were also sent to the Trump International Hotel and Tower, which hadn't officially opened yet, to take a picture in front of a mural that they finished early especially for us." The treasure hunt was followed by dinner at the Intercontinental Hotel. The next day, the group visited Niagara Falls via the vineyards, giving delegates a chance to try the region's Ice Wine. Client verdict: "Feedback was really good. The Ritz-Carlton was an excellent venue and its events team was brilliant. Right up to the last day we were changing our plans but they didn't mind and even added some little extras, like arranging free back rubs for the delegates," says Higgs. Post-event analysis: One unexpected outcome of the workshops held during the summit was the creation of a working group to develop GSM's C&I business. "We had more than ten markets identify MICE as a growing market for them and one idea was to use each other as DMCs, rather than outsource," says Higgs. Next year's event will be held in Europe, the Middle East or Africa, but regional forums will take place first from February to May in Barcelona, Singapore and Cartagena in Colombia.